Fun! 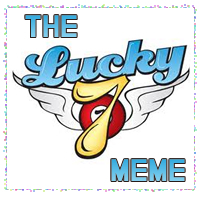 Kate Warren tagged me for a Lucky 7 meme. Admittedly, I had no idea what that was at first, but, now that I know, I'm excited to participate. let them know they've been tagged. Following Kate's lead, I'm taking this literally and copying a full 7 lines, even though it leaves my last sentence incomplete. These lines are from my current WIP Secrets and Second Chances (Updated January 2013: I've changed the working title on this WIP to A Cowboy's Second Chance). Claire, my heroine, has an appointment with a specialist and is currently in the doctor's waiting room. The hero, Devin, has driven her to the hospital, but she lied and told him she was meeting a friend there rather than telling him she was worried about her health, so he did not accompany her to the appointment. Claire took a deep breath and tried to steady her racing pulse. The jacket smelled of Devin. Spicy. Masculine. And she was probably imagining it, but she was sure she could feel some remnant of his body heat lingering in the fabric. Obviously her brain was playing tricks on her – imagining he was somehow there with her. And thank you again to Kate for tagging me. Fun! Thanks for tagging me! The man's hand was on her lower...what? I have to know! Great seven!